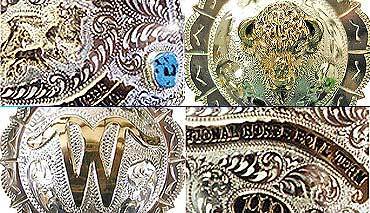 R&R Buckles has been making custom and trophy belt buckles, conchos and saddle trim for 51 years. Our items are all hand-made and hand-engraved from Nickel Silver, Brass, Sterling Overlay, and Sterling Silver. All of the work is done in our shop to the absolute highest standards. 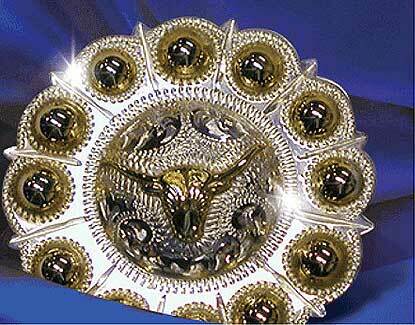 We make buckles for rodeos, fairs, businesses, associations, fraternities, as well as many custom orders. 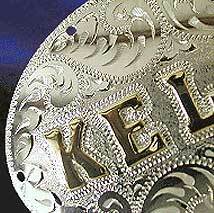 Our conchos are used by saddle makers, bit and spur makers, and leather craftsmen around the world. We have many styles and sizes of buckles and conchos for any occasion.